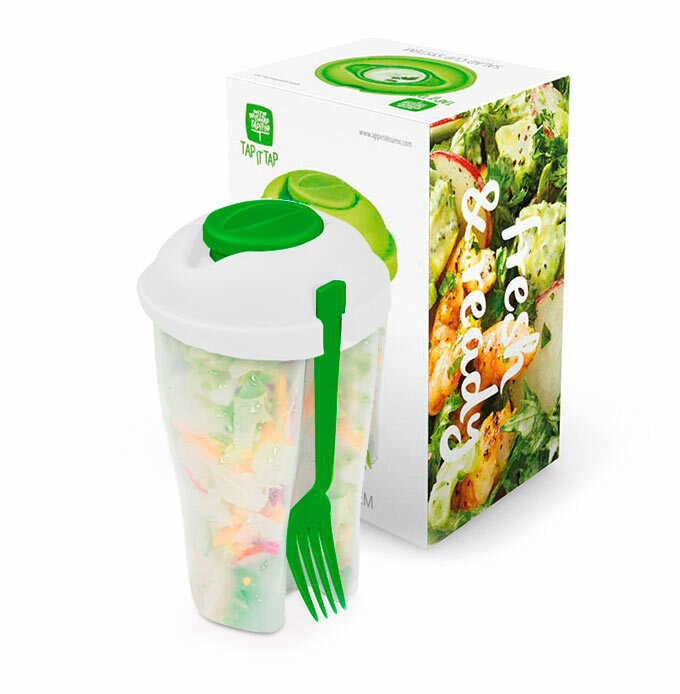 The Salad Cup System allows you to keep your salads fresh for eating. 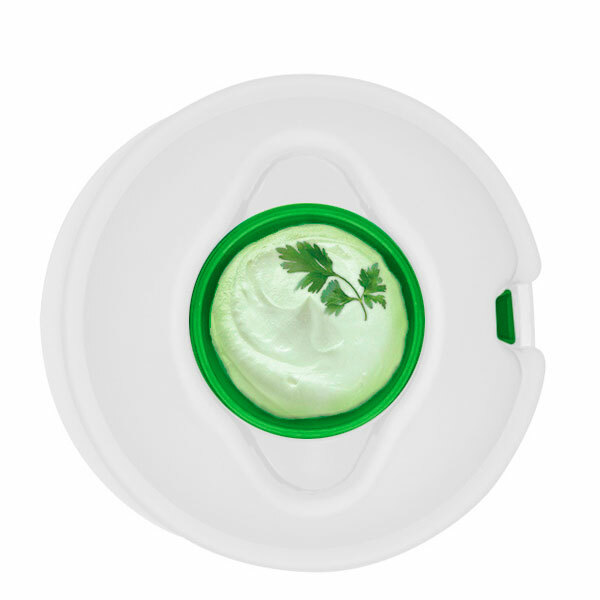 With an ergonomic and non-slip design, it also includes a fork and a compartment for sauces or dressings. 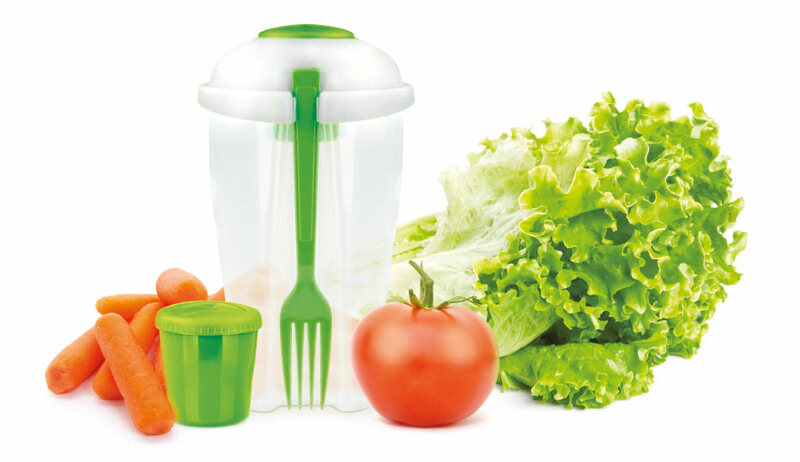 Keep your snacks, pasta or rice crunchy and delicious!